It was senior night last night for the Jaguar wrestling team. The Mike Rucker led team fought hard against Hampton and Griffin. 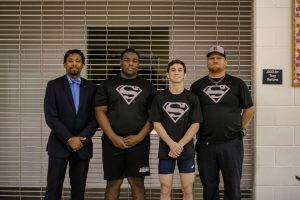 Pictured below are the seniors, Coach Rucker, and Coach samples. Congratulations guys! !